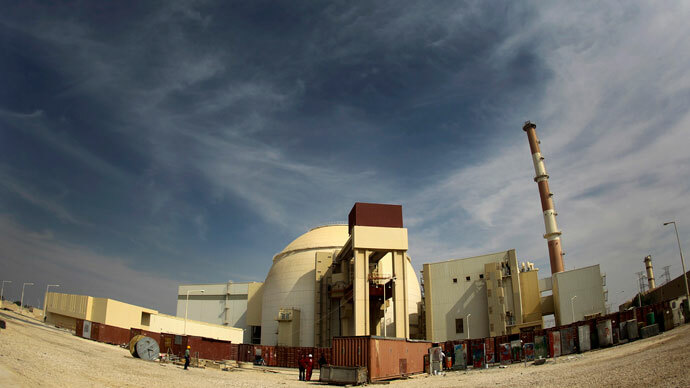 Iran is building 3,000 advanced centrifuges for enriching uranium, announced the republic’s nuclear chief as Israel accuses Tehran of using the six-party talks to “buy time” for producing an atomic bomb. "The final production line of [new] centrifuges has finished," Fereydoon Abbasi, the head of Iran’s Atomic Energy Organization said. “The early generation of these centrifuges which have low efficiency will be put away soon,” he added, as cited by Fars News Agency. 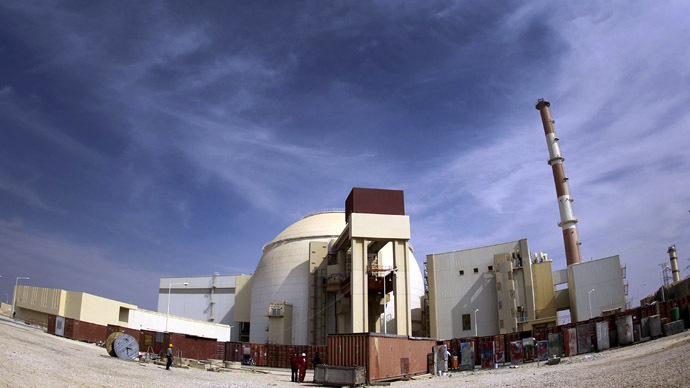 In February, Tehran announced that it would install new IR-2m centrifuges – which can produce more enriched uranium in a shorter period of time - at its Natanz uranium enrichment plant. 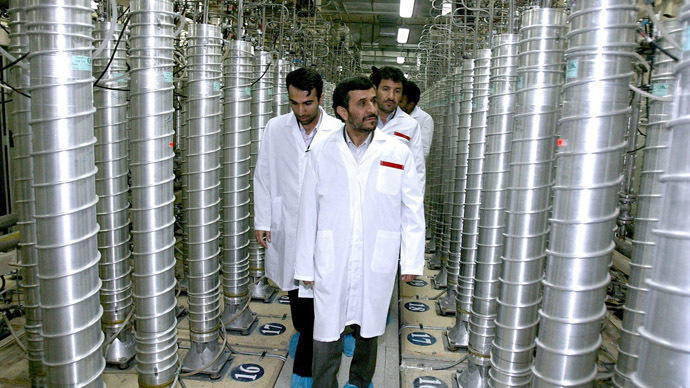 However, Sunday’s statement appeared to be the first time Iran has provided a specific figure about such machines. Abbasi stressed earlier that the new generation centrifuges were developed for the enrichment of uranium below five percent and cannot be used for 20-percent enrichment. 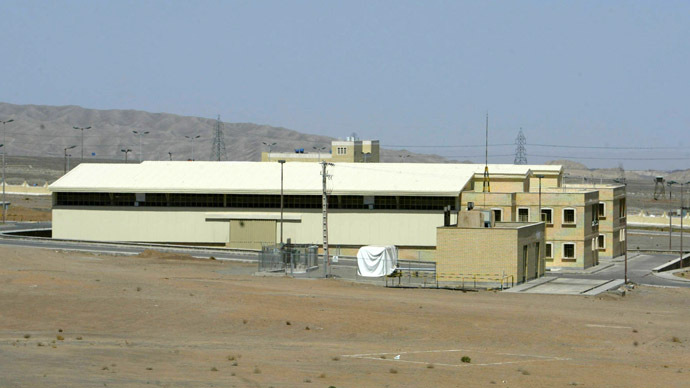 Currently, the Islamic republic has around 12,000 IR-1 first-generation centrifuges at its Natanz facility. Earlier in February, International Atomic Energy Agency (IAEA) confirmed that the country had begun installing advanced centrifuges at the plant. The UN nuclear watchdog said that 180 IR-2m centrifuges had been put in place at the facility but were not operational. The move drew condemnation from world powers fearing Tehran is seeking weapons technology, while Iran maintains its nuclear program is purely for civilian purposes. The news on 3,000 new centrifuges comes less than a week after six world powers - the US, UK, France, Germany, Russia and China - and Iran gathered in Kazakhstan for talks on the disputed nuclear program. 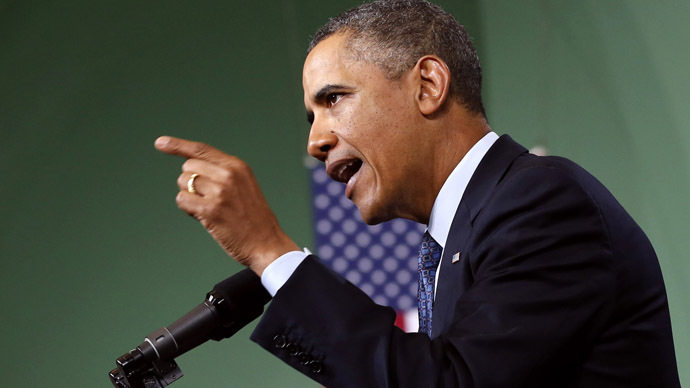 International negotiators offered a limited relaxation of tight sanctions against Iran. In exchange, they want the republic to suspend its 20 percent uranium enrichment and, also, freeze its works at its Fordo underground facility. Tehran said it was positive about the outcome of the two-day negotiations which ended up with an agreement on further meetings. “The new proposal of the P5+1 group is closer to some of our views,” said Ali Baqeri, deputy secretary of Iran's Supreme National Security Council. The details of the proposal should be further discussed at the Istanbul expert-level meeting, he added, as cited by Iranian PressTV. Israel – which earlier signalled the possibility of launching a pre-emptive strike against Iranian nuclear facilities if diplomacy yields no results in nuclear talks – believes the latest round of talks brought no breakthrough. "My impression from these talks is that the only thing that is gained from them is a buying of time, and through this time-buying Iran intends to continue enriching nuclear material for an atomic bomb and is indeed getting closer to this goal," Israeli Prime Minister Benjamin Netanyahu stated on Sunday, cites Reuters. The UN Secretary General Ban Ki-moon, on the contrary, said earlier he was optimistic about the meeting, but added that Iran still has to win the trust of the international community.